The wife of Avrohom Luria, she asked him, “oy Avrohom, as Yisroel Ber tells you, do.” so he said to her, “I will learn in these three books every day” and he became healthy. Afterwords his brother came, Mordechai Luria, and he saw three Breslov books in the closet (or bookcase). So he took this, and he passed away, he passed away. And his brother, Mordechai Luria, he cried about this all his life, “what did I do? !” I went to him and I wanted to do him a favor, that he should live, and he accepted from me the three books and he learned every day in these three books, and he said to me, “I learn in these three books, I learn every day.” and he became healthy and suddenly his brother came, Mordichai Luria, and he saw the three book of Breslov, “what? He has become Breslov? I will show him, I will take the books.” He took the books, and he (Avrohom) passed away. He didn't have the books to learn? So he passed away. He had the books, and he learned from them and became healthy, he was an intellectual, a great intellectual, and he loved very much to learn the books of Rabbainu, and he saw that it is a great cure, and so it was, and he became healthy, and his wife was so happy! Thank G-d she has such a present that her husband lives. His brother Mordechai Luria came and saw the three books, he said, “what? What? He has become Breslov? I will show him.” He took the three books and went, and he went with the three books, and Avrohom passed away. One day he didn't have the books, he passed away. I said to him, “what is this? Why did you do that?” he said to me, “I didn't do it. He took the books [his brother Mordechai], I didn't have the books.” I am not exaggerating, like I am recounting, that's what happened, I wnet to him with a good present, that he should be healthy, and his brother came and saw the books of Breslov that I gave him, so he said, “what? Is he crazy? He became Breslov?? I will show him.” he took the books and went with the three books, and he got a heart attack and died. He took all the three books and went his way, I came, I said to him, “Avrohom, what's with you?” suddenly he became week, completely week, he took and went, I didn't have the books. He was a great intellectual and he learned the books, every day he learned from them, and he became healthy, and there was happiness by him in the house, him and his wife and their happiness. He became healthy. His brother Mordechai came to visit him and saw the three books in the bookcase (or closet), “Breslov? What is this? He's become Breslov? I will show him.” so he too the books and went his way, and he (Avrohom) passed away. At home, he got a heart attack and he passed away. The whole family and all the greats know from this, and he himself admitted, “I killed him, I caused this, I took the books, because of this he died.” and everyone knew that he killed him, Mordechai Luria. He killed me! He found the books and he went and put them here in the bookcase (or closet) in order to learn, and he went, came his brother Mordechai Luria and saw on the table three books which were from the books of Breslov. What? 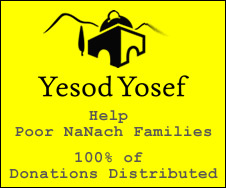 He, Mordechai, knew that I [Yisroel Ber] was treating him? So he said, “what? He has become crazy? He learns the books of Breslov? I will show him.” so he took and went, and he passed away. A pity, the woman, his wife, a pity, he killed his brother! He said, “I will show him, what? He has become crazy? He has become Breslov? I will show him.” I said to Mordechai Luria, “give me the books, I gave them just to your brother. Give me the books.” he did not give me the books, he was scared. This story is already known in Tiberius, that he, his brother Mordechai Luria killed Avrohom Luria his brother, he took from his the books. I said to him, “it is impossible for you, if you do not learn the books of Breslov!” he said, “I will learn, just that I should live.” Avrohom Luria? His wife requested him, “do as R' Yisroel Ber says to you, not to be an opposer.” he said, yes, yes, yes, and he passed away. He, in his heart had opposition and he couldn't overcome, so he passed away. Aaron Luria, the brother of Avrohom Luria who passed away, yes. He, Mordechai Luria came to visit and saw three books of Breslov and said, “what? He has become Breslov? I will show him.” He took the three books and went. What could be done? And I, for several years I said to him, “give me the three books.” but he didn't want to, and he didn't give me. “has he gone mad? He learns the books of Breslov? I will show him.” That's how it was. He learned from the three books each and every day. His brother, Mordicahi Luria, came and saw, “what is this? He learns the books of Breslov? There are three Breslov books by him, what is this? Has he gone mad? I will show him.” So he took the three books and he went, and he had a heart attack and passed away. (which books were they?) Alim Letrufa (the letters of Rabbi Nussun), Likutay Moharan, and Likutay Halachos, these are the three books I gave him, and I gave him and he learned every day from them each and every day. He was a great intellectual, and he found life each and every day in the Torah, he sensed that this was healing him, and so it was, he had a recovery, and he was healthy, and his brother Mordichai Luria, he saw that his brother became Breslov, and he knew that I was praying for him, so he went crazy, he is to Breslov? He took them, all the three books and gave to a brother (?) and he passed away on that day. It was forbidden to learn from them. He passed away, and he told me that it is a cure, that it gives him life. His brother came and said that, “he has become crazy, he learns the books of Breslov? I will show him.” so he took the books and went. And he got a heart attack and passed away. He learned the books a lot , every day from these three books, and he became completely healthy, and he took from (the books), and he passed away immediately, “I will show him,” he took them, he went, and he passed away. The brother? He was an opposer on Breslov!